I am thrilled to have my first ever bakeware range – all ridiculously affordable yet stylish. It’s designed to make YOU the Home Cook Hero! I made this cake for my son Blair for every one of his 29 happy years and do it each year on his birthday since we lost him to Acute Myleoid Leukaemia. The insert in this tin, making a big donut shape, is in memory of a tin my Mum had and also ensures even cooking with no soggy middle. 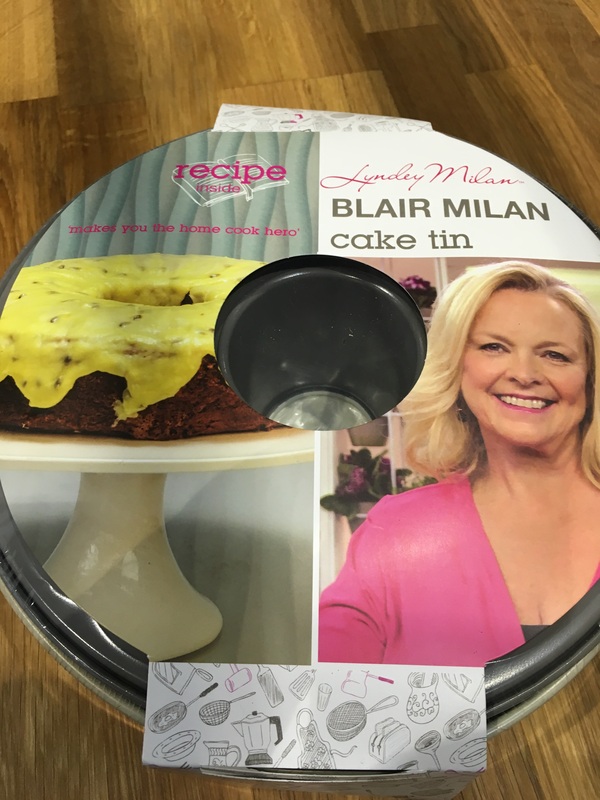 The profit from sales of this cake tin go to the Blair Milan Memorial Scholarship in association with Charles Sturt University. All pieces have eco friendly and sustainably sourced bamboo handles with attractive dark grey silicone heads to match the silicon bakeware. They are dishwasher safe and the silicone is non-stick and non-scratch. These items do not have recipes attached. Online at Gifts.com.au, click here to purchase now!